While I was lying in the hammock and reading the New York Times Style section this morning, PERFECTION is the word that came to my mind. This joy was not because it was a beautiful day or the amazing yoga class I attended this morning but because of a Theory ad. As you know, I wrote a post about the fisherman’s/aran sweater trend. I feel everyone should add this sweater to their wardrobe because it is such a versatile piece. It can be dressed up or worn casually and would look amazing with a leather skirt or pants. I have been looking for a new fisherman’s style sweater. I have one but wish it was longer. Since it is a classic piece that is having a resurgence in popularity, one could use more than just one. I called the Theory store and the sweater has not been shipped so they did not have any information on it. However, the sweater is featured on the website but you are not able to order it yet. They will let me know when it arrives and I will pass the details on to you. I LOVE my fisherman’s sweater!I have a wonderful one that I leave at the lake-navy blue. I always feel great in it.I’m sure you could get a great one from a marine/sailors catalogue.There is a company called St James that does wonderful Venetian gondolier type striped pullovers.I think it is a marine based company.Check it out. I will check this out.I like Theory, and my old boy has seen better days,although I refuse to let it die a sailors death. I certainly will check out the St James company. I am a fan of their striped t-shirts. Love the fisherman sweater! In fact you might just be able to get one soon at Parasutra! Always love how it makes me feel! Thanks for the lovely post! I love when classic styles meet modern times! Your post is a lovely example of how versatile the look is. I can’t wait for some cooler south Florida weather to give it a try. 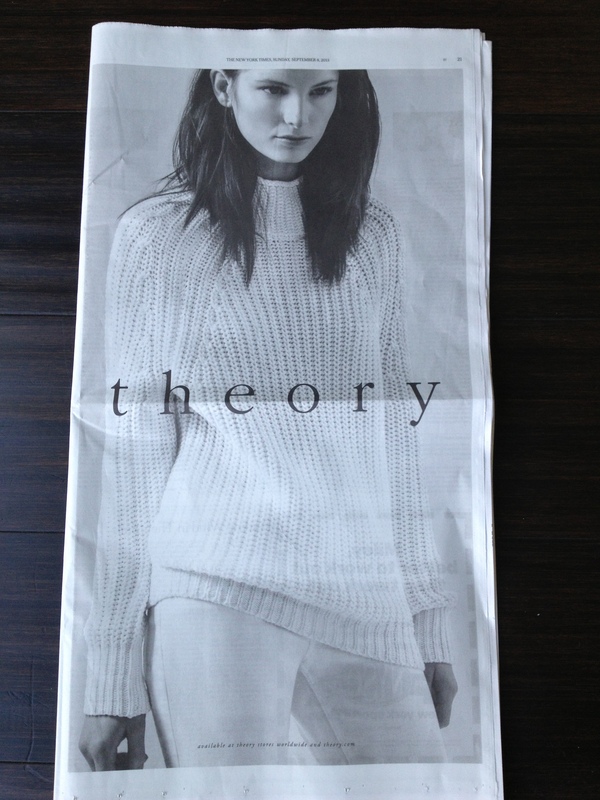 Please keep us loyal readers informed of your Theory inquiry. My interest is piqued!